I am sorry for the delay in updates. I’ve posted some on facebook and a tiny bit more in an email of this blog, but haven’t had a chance to do a formal update. It has been SUPER busy the last few days and I also sent my computer home for Kristyn to finish up summer school projects. My last update was late Wednesday night. Ally’s blood cultures were still coming back with an infection. They also came back positive on Thursday and were re-drawn from her port and another stick in her foot. We had started treating on Monday with IV antibiotics, but would have to remove her port on Friday if the infection was still there. When there is an infection in the blood it looks for someplace to adhere to and since her port is a plastic foreign body, that is why it was staying there. Many different things could have caused the infection including the spreading of her urinary tract infection, but very likely it could have started when her port was accessed (to draw blood or do the monthly flush). Infections are semi-common, but we are extra cautious. Since a blood infection can become VERY serious, we actually had pre-scheduled surgery for Friday, signed consents, stopped regular food… and then by the grace of God, with all of the prayers, Friday morning the blood tests were clear with NO infection. After the blood tests came back negative, the medical team still wanted rule out that there was not a clot or any problems on the end of the port catheter that enters the heart. An echo was performed on Friday morning before cancelling surgery. It looked like there was some thickening at the end of the port, so then a dye study of the port catheter was done in xray. I went with to xray and unfortunately Ally’s vent disconnected in the hallway and she had some short breathing trouble that was resolved and we moved on to the xray room. From the dye study, they saw that a fibrin sheath or covering was beginning to form over part of Ally port. This happened before and the port had to be replaced in surgery. However, this time we were able to use a special compound called TPA (similar to drano, but for humans) to clear the line. 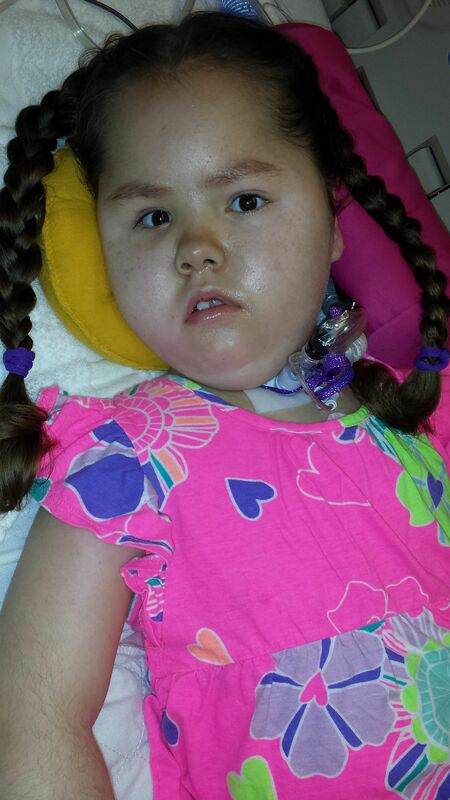 Ally’s port is now working very well, the blood infection is gone and NO surgery was needed. To be cautious, after a blood infection is found, you need a minimum of 48 hours of negative tests before you can go home. In addition, you need to continue to treat with IV antibiotics for a period of time. It is difficult to set this up over the weekend, but we will still be able to leave the hospital on Sunday. Ally will get an IV med in the morning on Sunday, be discharged, and then on Monday an IV infusion company will come out to set her up to do the last meds at home with me or her day nurses administering them. Ally did have a small urinary tract infection this hospital stay too. It was treated with antibiotics through her stomach tube and she gets her last dose on Sunday. Urology came up to evaluate her this week since it is her second infection this summer (but another semi-common problem in SMA kids). We did kidney and bladder ultrasounds, in addition to a stomach xray, to rule out stones or any problems. These came back clear, but we will retest her urine on Sunday when the antibiotics finish and also anytime she has fevers or issues. Ally continues to do VERY well on her new ventilator settings (the main reason we came to the hospital on Monday). She is getting MUCH better lung volumes and her xrays look GREAT. She is using AC (assist control) mode on her Trilogy with a set volume for all of her breaths (initiated by herself or the machine). Her ipap is determined by what is needed to get about a 210ml volume and she is almost always at this or above. Her oxygen and carbon dioxide levels have been monitored and are great too. I think I mentioned in a previous post that she also had a broncoscopy while here and she got a bigger trach to help with leaks and her volumes. Boy have we been REALLY busy!!! However, we have only needed to do her regular home breathing treatments (3x a day) and she is at her baseline or above now. I really feel like she has gotten a SUPER tune-up over the last 6 days and will be ready to attend second grade, attend some cheer practices and football games with the Chicago Razorbacks, and practice driving her powerchair outside. 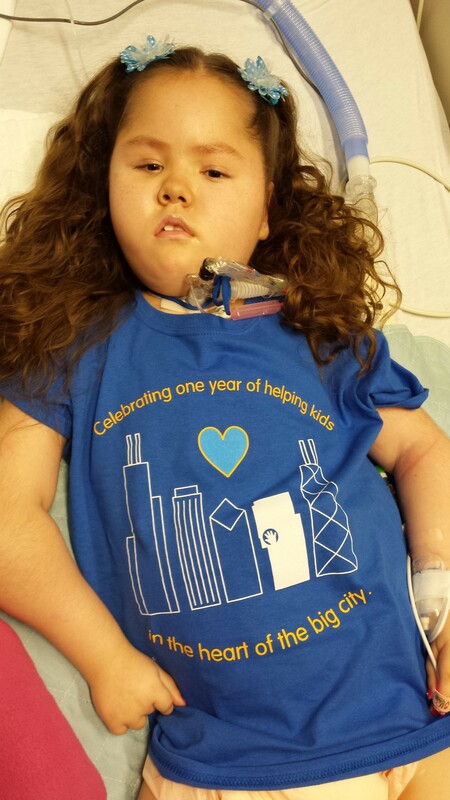 A HUGE thank you goes out to the medical staff at Lurie Children’s Hospital. Overall, this hospital stay went VERY smoothly with lots of teamwork including me in all decisions. We had quite a bit of consistency with nurses and respiratory therapists too and this makes a world of difference to make things go well, help Ally feel as comfortable as possible and relieves some stress for me. Some additional positives were that Ally had music therapy twice, a hospital teacher read to her, and she got some small gifts from Child Life for her bravery. I actually had 3 short massages (Wed-Fri) by a volunteer and took a one-on-one relaxation/meditation class. I also want to thank family and friends who reached out and helped with meals, school supplies, monetary donations to our family, support and prayers. This really, really, means the world to our family. It is not easy to ask for help, but it is needed at times and has helped our family soooooooooo much!!!! Although we have had many hospital stays over the last 7 years, they are always hard on our family emotionally and financially. Knowing so many others care, has also helped lift me up and relieve some stress. Thank you again to those who have helped and/or prayed for Ally and our family. 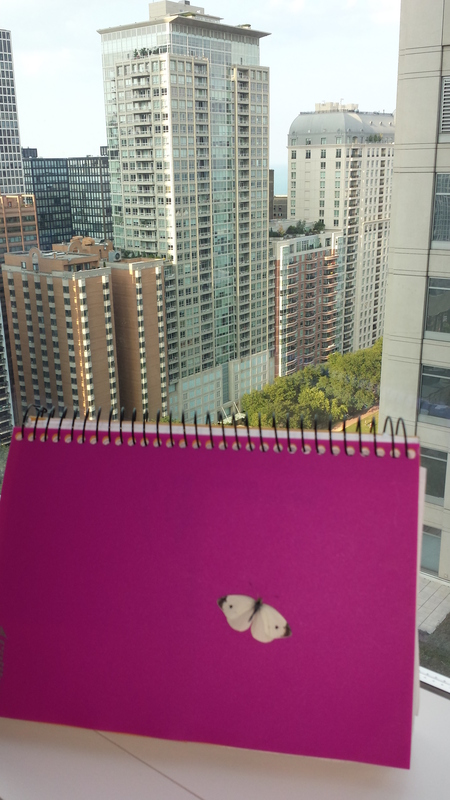 One more important thing I would like to share… Our lawyers had a call with the state and Chicago Public Schools’ lawyers regarding Ally’s school situation. We have decided to have her evaluated to attend New Horizon Center for special education students. 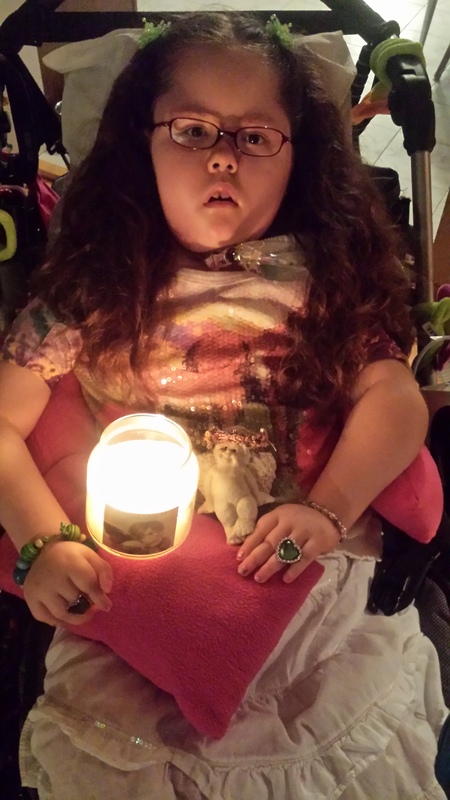 It is less than 5 minutes from our home and has an AMAZING set up with tons of adaptations for handicap children and she will get great therapies, including time with pets, music, swings she can go on in her wheelchair… and educational staff that “get it” and look outside the box. Unfortunately, Ally will not have time with typical peers, but I am willing to try this school out since we have not found or been offered any other appropriate, nearby schools. I will have to get Ally involved in girl scouts and maybe another activity with typical peers and hope that it all works out for the best. This will most likely be a busy upcoming week to get Ally started in 2nd grade asap. She will also have a homebound teacher come to our house any day that she cannot attend and some makeup for time missed the past year. I’m super grateful that we had pro-bono lawyer help to sort though and resolve all of this! I think that is about everything. We should be home by Sunday afternoon. School starts for Kristyn and Melissa on Monday. They are doing well and are excited to start a new school year. Kristyn will be a senior and Melissa will be in 4th grade. Both are already very busy with their new cheerleading seasons. Thank you again to family, friends and the medical staff at Lurie Children’s Hospital!!! Ally looking beautiful thanks to RN Jen after her bath and spa treatment. Unfortunately, she DOES have a blood infection and continues to be treated by IV antibiotics. Fortunately, she has not had any high fevers or distress, yet it could turn really bad fast if untreated. We have to stay in the hospital till it is negative and then for an additional 48 hours. If it doesn’t clear by Friday it is most likely a port infection and she would need to have surgery to remove and replace her port. On a positive note, she is doing GREAT with her breathing and we switched to vent settings I like better for her today. Thanks again for the prayers and well wishes!!! 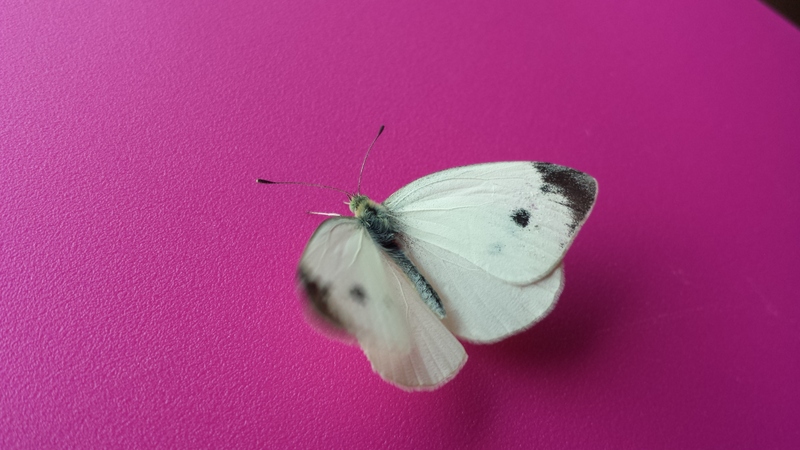 These pics are of a very special butterfly/angel hanging out in Ally’s HOSPITAL ROOM. It landed on Ally’s foot while walking to the hospital from our parking spot a few blocks away Monday at noon. It was still on her when I transferred her to the hospital bed. Tuesday, early evening, Billy saw it sitting in the window while Ally was having her bronc procedure done. 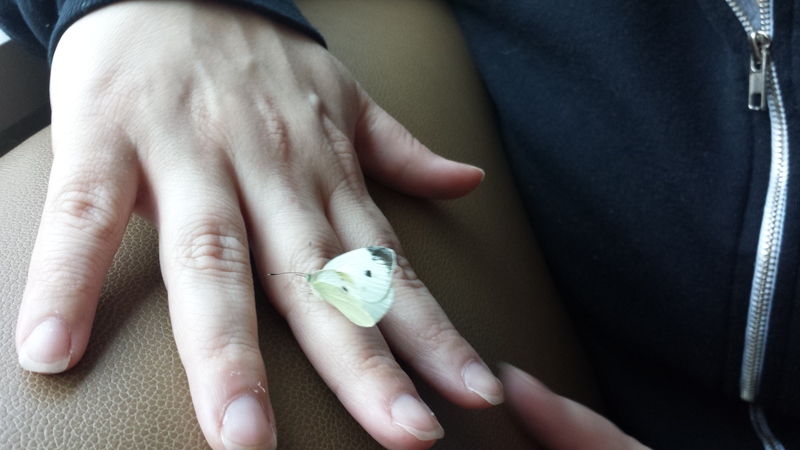 I’ve always believed butterflies are angels and this one is definitely looking out for Ally and our family. Ally had a super successful, yet LONG day. They re-did her blood cultures and we should have some better results tomorrow morning, but we are treating her with IV antibiotics just in case she has an infection (it may have been a contaminant though). 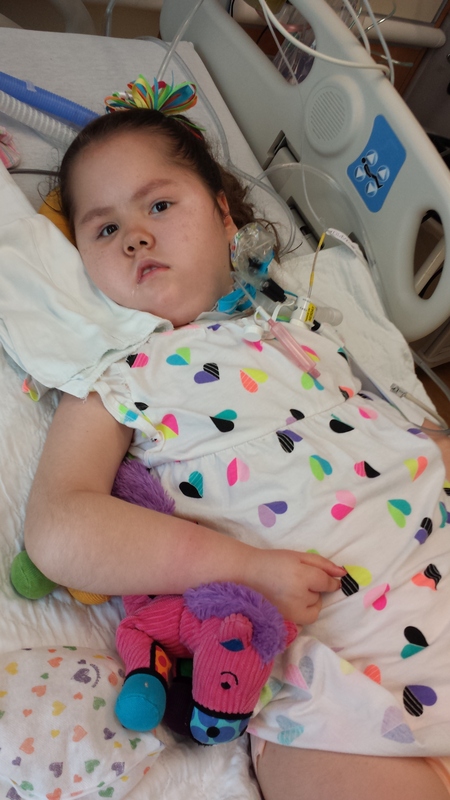 In addition, cultures are still growing to see if she has a urinary and/or trach infection. They are also treating these, just in case. Her MRSA nasal swab was also positive, which overall she has colonized, but the antibiotics she is on will help treat it if it is flaring up. What’s complicated is that cultures take a few days to officially grow and so its better to treat pro-actively and then see the final results than to wait. Some of the above things could have been the partial cause of Ally’s fevers, or they could have been breathing related. Ally was scheduled to do a broncoscopy at around 3 pm (as an add on) to check her airway and trach size (making sure she was not leaking too much air to allow bigger pressures and volumes in her lungs). We needed to stop her food 4 hours before, but unfortunately she did not go in till around 5:30, so she went 7.5 hours without food. This could be dangerous for a type 1 SMA kiddo since they have a fatty acid metabolism disorder and should never go more than 4 hours without food so the body does not break down any muscle it has. Regular IV fluids are not enough, but a special IV fluid called TPN is needed to sustain the kids if they need to be off feeds. It was too late to order this when the procedure was scheduled, so Ally had to be without feeds. Overall, she seems to be doing very well though and food was re-started immediately upon returning to the room. Ally’s procedure went well and she did go up a size in trachs to help control her leak. Another positive is that Ally participated in music therapy before her surgery which calmed her down as she was getting a little cranky. Tonight at around 10pm, after Ally’s bedtime breathing treatment, she was switched back to her home ventilator (breathing machine). She is doing EXCELLENT so far on her new settings!!!! The docs wrote the orders and a great RT and I fine tuned the smaller settings together to start things off. Soooooo far, no alarms, GREAT pressures/volumes, and Ally is sleeping, so that is a VERY good sign. We need to see what is going on with Ally’s blood, sputum and urine cultures, but there is a chance we may get to go home sooner than later. I’m not positive if there is a chance of going home on Wednesday, but maybe. I think the latest would be Thursday, earlier in the day. I am very happy with how things are going and think this will be an EXCELLENT tune up for Ally. Overall, we have had some decent consistency with nurses and respiratory therapists this hospital stay too. The orthopedic surgeon even stopped by to talk to me about Ally’s curve in her spine (scoliosis). He has reached out to other surgeons for their opinions (and is in the process of resending emails with her xrays), but still is hesitant to do a spine surgery on a type 1 SMA child, even though it is being done at other hospitals with large SMA populations (especially in Madison and Cincinnati), Unfortunately Ally cannot have surgery in these places since she has state insurance. I did reach out and scheduled a consultative appointment with an excellent doctor at Lutheran General this week. Ally has an appointment in October, but they might get her in sooner. They also encouraged us to get a consultation at Shriners Hospital too, which is 5 minutes from our house. Surgery is scary, but it will most likely be the next step to keep Ally as healthy as possible and give her the best quality of life without pain and being able to sit up and drive her new powerchair. I’m excited and nervous as I explore surgery for Ally, but know it is absolutely needed soon. Well, that’s a pretty long update. I better try to get a few hours sleep. Thanks again for the prayers and well wishes. I truly believe they help a TON! They think there is a chance that Ally might have a UTI (urinary track infection) since last weeks test were a bit off and they originally thought a contaminate, but now yesterday’s culture is growing gram negatives. They started treating it with Cipro antibiotics yesterday. Then her blood culture came back with possible staff infection. If could also be a contaminant, so they are re-testing by drawing from her port and sticking her arm. They are also going to start vancomycin, an IV antibiotic in case she does have staff/MRSA (since the results can take 1-4 days), but she’d probably be sicker if she had staff. I don’t mind treating both though since we need to resolve her fevers and want to explore all areas. We are the last case for ENT, and they are going do a broncoscopy to check her trach size and get out an extra mucus she may have. I did have to advocate for them not to stop her feeds 6 hours (or more) before since SMA kids cannot tolerate more than 4 hours without food and they have been receptive. Still unclear what time she will go in for this procedure and if and when they will stop her foods. She has a J tube so her food is not in her stomach, but her jejunum which is why they will partially accommodate my request. It is also too late to order TPN which would be IV nutrition. After the bronc, THEN, we will switch to her home vent (the Trilogy) to find the right pressures for home. We will need to be on that at the hospital at least overnight, but possibly longer. Lots of stuff, but I am happy with the progress. We admitted Ally to Lurie Children’s Hospital today to work on ventillator changes to give her better pressures and volumes in her lungs (which will hopefully resolve the high and low temps we’ve had for over a month). We will be here till minimally Wednesday morning. The docs want Ally to first be on the hospital vent overnight to get her lungs the best inflated they can be and their machine tells them more of what Ally is doing compared to her home machine. Then hopefully, we will switch back to her home vent Tuesday morning and they will have to find acceptable pressures on that and be watched for at least one night. We have redone all her cultures AGAIN and will start Cipro antibiotics in case she has a UTI since last Wednesdays cultures weren’t clear. We will also be evaluating her trach size and may do a bronc if needed. In addition, they will talk some to the orthopedic surgeon about her scoliosis since it is most likely impacting some of her breathing. I thought this would be a quicker stay, but hopefully Ally will get a GREAT tune up and be ready to attend second grade soon. We first need a school for her too, but hopefully that will be solved soon. We are in PICU room 1603. Thanks in advance for all the prayers and well wishes. Ally is not “sick, sick” but needs to be better.